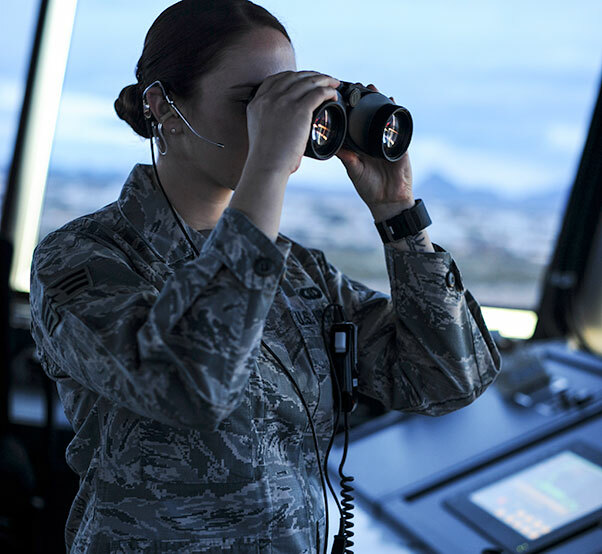 Senior Airman Iiae Hess, 355th Operations Support Squadron air traffic controller, monitors air traffic at Davis-Monthan Air Force Base, Ariz., Feb. 27, 2017. Hess was recently named Air Combat Command’s Outstanding Airman of the Year for her personal and professional accomplishments. 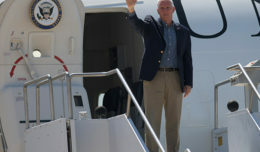 In order to be an effective ambassador for the Air Force, Airmen must exemplify the Whole Airman Concept. 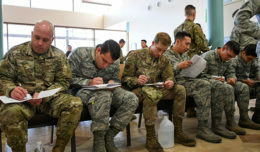 This concept details the expectations for an Airman to embody the Air Force Core Values, engage in personal and professional development, esprit de corps and community relations. Senior Airman Iiae Hess, 355th Operations Support Squadron air traffic controller at Davis-Monthan Air Force Base, Ariz., was recently named Air Combat Command’s Outstanding Airman of the Year in the Airman category for her personal and professional accomplishments. As an ATC, Hess plays a vital role in Davis-Monthan’s daily operations by safely and efficiently managing the flow of aircraft through all aspects of flight. 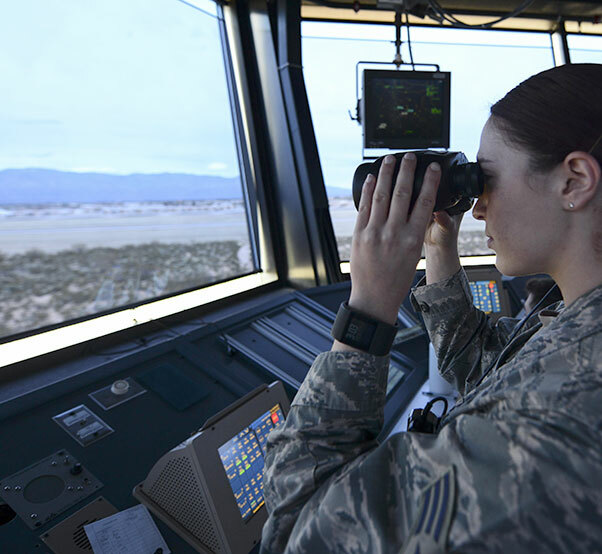 Senior Airman Iiae Hess, 355th Operations Support Squadron air traffic controller, monitors air traffic at Davis-Monthan Air Force Base, Ariz., Feb. 27, 2017. 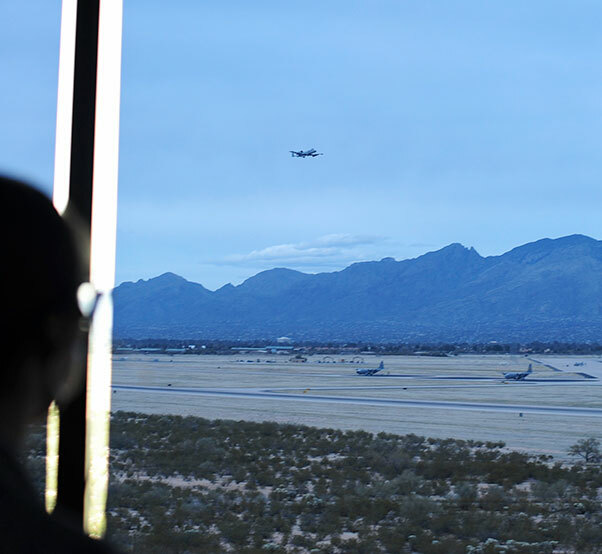 Hess plays a vital role in Davis-Monthan’s daily operations by safely and efficiently managing the flow of aircraft through all aspects of flight. 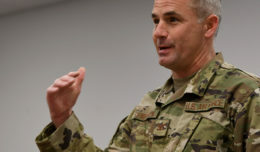 Having exceled at her core duties, Hess has also taken on the added responsibility of incoming controllers who are fresh out of technical training. Hess volunteers regularly, fulfilling the other core components of the Whole Airman Concept. The award-winning airman volunteered for the Davis-Monthan AFB honor guard and worked with STARBASE, a Department of Defense youth program that introduces students from local elementary schools to Air Force jobs that utilize science, technology, engineering and math. “Just seeing the impact I was having on other people was what really motivated me,” Hess said. Hess has also been recognized for her strong work ethic in her personal life. Hess has proven time and again she possesses the qualities outlined in the Whole Airman Concept; for that she is being recognized by some of the Air Force’s highest leadership.